For the second year in a row, some of those digital photo frames lying under the Christmas tree may come with a nasty surprise. Samsung says that CDs that shipped with many models of its digital photo frames may have included a malicious Trojan horse program that gives cyber criminals access to the PC. The malicious software, known as W32.Sality.AE lies in the XP version of Samsung's Frame Manager 1.08 software, which ships with many other models of Samsung frames. A malware reaches a host PC only if Frame Manager is loaded from the CD, which can convert the digital photo frame to a USB monitor. It doesn't affect Windows Vista users. W32.Sality.AE has been known in the security community since April and is detected by antivirus software. CDs with malicious code may have also shipped with the digital photo frame models SPF-75H, SPF-76H, SPF-85H, SPF-85P, SPF-105P, Samsung wrote in an alert (pdf) it issued in late November. Samsung recommends users to download and install the updated version of Frame Manager XP software available from the Download Center at Samsung.com. Earlier this week, Amazon.com issued an alert saying the worm affects Amazon buyers of the SPF-85H 8-inch digital photo frames sold between October and December 2008 for about US$150. The story was first reported by German publication PC Professionell earlier this month. This is not the first time that viruses have shipped along side digital photo frames. Last year, retailer Best Buy Stores said it had sold digital picture frames that were contaminated with a computer virus. The digital picture frame was an in-house brand called Insignia, and that specific model with the virus was later discontinued by Best Buy. Delhi has become the first Indian city to officially go 3G with MTNL’s soft-launch of its 3G services, branded ‘Jadoo,’ in the capital. However, not the entire area of Delhi is being covered and only in some areas such as Connaught Place, Sanchar Bhavan, Rajaji Marg, India Gate, Pragati Maidan, Delhi gate and Minto Road can the service be accessed. MTNL will not be charging anything extra right now but after the commercial launch, we can expect a new tariff plan to be revealed. A similar limited launch of 3G services is also expected in two months in Mumbai which would cover the areas between Prabhadevi and the airport. January will also see the services being launched in Chennai and further down the line in Kolkata. MTNL will be adding an additional 15 lakh 3G lines in both Delhi and Mumbai. The introduction of this technology will also help the under-fire security agencies by helping the process of public surveillance. MTNL will be integrating close-circuit camera technology with 3G for surveillance with the help of Wi-Fi devices or mobiles. Everywhere where ever I go, whoever calls for maintaining their system clean, whoever have been browsing a lot and with somehow near to thug periphery of XP Antivirus. Hope this collective article, might help for a lot of people like you to remove Malwares and Spywares like this. 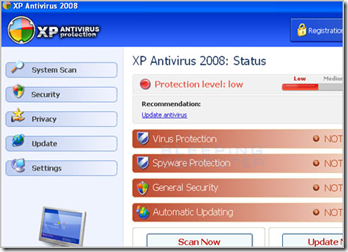 This is a slight background info, skip to complete removal steps of XP Antivirus 2008. XP Antivirus 2008, XP Antivirus 2009, and XPAntiVirus are scoundrel (oops! can there be a better word then this) antivirus programs, when run, display false results as a tactic to scare you into purchasing the software. Older versions of XP Antivirus would create 9 entries in your Windows Registry that impersonate infections on your machine, according to BleepingComputer.com. In reality, though, these registry entries were harmless and had absolutely no effect on your computer. Instead, these entries were set so that XP AntiVirus can find them when scanning your computer and report them as infections. 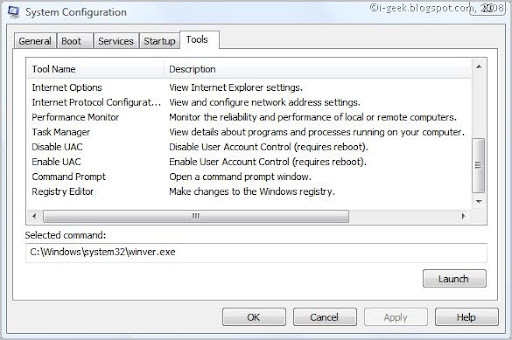 The newer of versions of the program , such as XP Antivirus 2008 and XP Antivirus 2009, instead just display false results when scanning your computer that state infections were found. In order to remove these fake infections, though, you would first need to purchase the software as the trial does not allow you to remove them. While running, XP Antivirus will also display fake alerts stating that you are infected or under attack from some type of threats. These alerts are fake and can be ignored. If you do click on the alert, though, it will prompt you to purchase the software. Examples of text contained in these alerts can be found below. XP antivirus detected Privacy Violation. Some program is secretly sending your private data to untrusted internet host. Click here to block this activity by removing threats (Recommended). Some critical system files of your computer were modified by malicious program. It may cause system instability and data loss. Click here to block unathorised <sic> modification by removing threats (Recommended). @ Don't purchase this fraudware ar any cost, there is no harm actually to your system so if you can, remove all traces of this Malware if know by any way such as Process Explorer or Tune Up Utilities Process Manager or Vista Manager's Process Manager or use any software that's soft for you. THIS IS THE MOST IMPORTANT WAY TO REMOVE XP ANTIVIRUS 2008. Find complete list of related processes of this malware, below. This is an article on How to remove antivirus 2008? Antivirus 2008 is a virus rather than antivirus. Google's Chrome and Apple's Safari browsers could do a better job of protecting passwords, according to a security researcher who released a study of browser password managers. Two years ago Chapin reported a widely publicised password manager flaw in the Firefox browser, rated critical by Mozilla developers. The bug was used by attackers on the MySpace.com website who had set up a fake login page to steal account information from users of the social-networking site. One problem is that today's password managers can be tricked into submitting different password credentials to different parts of the same website. That's what hackers did with the MySpace attack, posting a fake password entry form on a MySpace page. Because both the fake and real login forms were on the myspace.com domain, browsers like Firefox could be tricked into automatically sending login information to the fraudsters. That bug has been fixed in Firefox now, but Chrome and Safari are still vulnerable to similar attacks. Another problem is that browsers will send passwords meant for one domain, Google.com for example, to another domain - say Myspace.com - without warning the user, he said. That's because browser makers assume that the page asking for the password should be trusted, even if it is sending the password to another domain, he said. This is a bit advanced feature of the operating system so be careful when using it. Start by typing msconfig in the start search box or in the run dialog. You will see 5 different tabs namely- General, Boot, Services, Startup and Tools. General programs starting with the widows can be checked in the startup tab but we are mainly concerned with tools to quickly access advanced features of the Windows Vista. 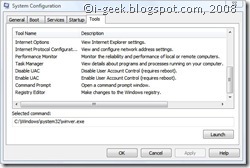 If you are looking for configuration modes, boot options and startup program options, please read the previous post System Configuration utility for Windows Vista Customization I. Enabling or disabling the User Account Control is made simple by points 15 and 14. In fact these are shortcuts to Windows Registry Values to enable or disable the UAC feature of Windows Vista. No third party software is required to customize Windows Vista and it's UAC features. Microsoft plans to make most of its Office software - including Word and Excel - available online. Web-hosted apps, also known as 'Software-as-a-Service' (SaaS), allow users to benefit from lower initial prices for the programs, as the apps are hosted online and don't need to be downloaded to computers. Stephen Elop, president of Microsoft's business division, told Reuters: "What we think is in five years, 50 percent of the use of Exchange and Sharepoint could be serviced from the cloud." "Between now and then, a year or two or whatever, if it's going to be tough economic times, that means we expect quite a lot of movement in that direction, a lot of people taking advantage of that," he added. "I think the economy will help it." Microsoft's online offerings will directly compete with Google's web-services such as Google Docs, as well as Google Calendar, Gmail email and instant messaging. Microsoft wouldn't confirm exactly which services would be made available on the web but revealed they would be rolled out as early as 2009. Video Convert Premier realize DVD CD/SVCD burning, and conversion in different video files. It can convert and split : : AVI, MPEG, MPEG 1, MPEG 2, MPEG 4, VCD, DVD, SVCD, RMVB, RM, WMV, MOV, DIVX, ASF, VOB, AAC, AC3, MP2, MP3, AMR, WAV and etc. and version 6 can recognize more format! It is a home video software to satisfy all you requirements of storing in PC or watching at home TV. It is easy-in-use, only in 4 steps to convert, split or merge movies. We designed more Humanization and Rationalization in each interface to let you know what kind of format you are setting, and this also helps you to change the favorable parameters easily to receive the best quality. Convert your video to most of other formats seamlessly. You can get these versions with the rapid fast conversion- AVI, 3GP, MPEG, MPG, MOV, WMV, RM, SWF and so on. Video Convert Premier has the simple and the best graphics on such a cool video converter. b. Guarantee 30-days-money-back if you are unsatisfied with it! all are realized in it. No adv watermark exist after registration. you will experience your enjoyment in multimedia with Video Convert Premier. You can purchase Video Convert Premier securely through the web, with the help of our e-commerce resellers ShareIt. It is fast, simple and secure! Nokia is considering using Linux software on some of its handsets. According to vice president Ukko Lappalainen the software would be viable for use on its top-of-the-range devices, which currently use Symbian software on its mobile phones and Linux maemo with its internet-tablets including the N810. Lappalainen told Reuters: "In the longer perspective, Linux will become a serious alternative for our high-end phones". However, Lappalainen revealed that Nokia would develop its own Linux software rather than opting for Android - Google's Linux-based platform. "I don't see anything in Android which would make it better than Linux maemo." Microsoft has launched an app for Apple's iPhone. Seadragon Mobile is free to download from Apple's iTunes App Store and gives users the ability to access online photo libraries either using the phone's 3G or Wi-Fi connection. These include images available of Microsoft's Photosynth site, which allows users to stitch together hundred of digital photographs to create a 3D image that can then be looked at from all angles, or even viewed in close-up detail. The apps also offers an RSS feed so users can be notified when new content is made available. Microsoft Live Labs group product manager Alex Daley said "The iPhone is the most widely distributed phone with a (graphics processing unit). Most phones out today don't have accelerated graphics in them. The iPhone does and so it enabled us to do something that has been previously difficult to do. I couldn't just pick up a BlackBerry or a Nokia off the shelf and build Seadragon for it without GPU support". Microsoft gave its MSDN and TechNet subscribers access to the beta of Service Pack 2 for Windows Vista and Windows Server 2008 and will make the software available to the general public in a few days from now. The beta includes all the hot fixes that have been released since SP1, which shipped in March. Also included are some new features for corporate users including full integration of Hyper-V into Windows Server 2008. Microsoft shipped a beta of SP2 in October to a small group of users in its Technology Adoption Program. This week, Microsoft is opening up the testing and plans to release the software next year. "We are tracking to ship Windows Vista SP2 in the first half of 2009," Mike Nash, corporate vice president for Windows product management, announced on the Vista Team blog. The release will come ahead of Windows 7, which some speculate could ship by the end of 2009. Microsoft's official timeframe is Jan. 2010. The Hyper-V integration includes one free guest license for users of Windows Server 2008 Standard, four free licenses for users of the Enterprise version and an unlimited number of licenses for the DataCenter version. SP2 also includes the ability to configure power management policies via Group Policy, and improved backward compatibility for older Terminal Server license keys that are only 512 bytes. Other improvements include the addition of Windows Search 4.0; the Bluetooth 2.1 Feature Pack that supports the most recent specification for Bluetooth technology; the ability to record data on to Blu-Ray media natively in Windows Vista; the inclusion of Windows Connect Now (WCN) to simplify Wi-Fi configuration; and the enablement of the exFAT file system to support UTC timestamps, which allows correct file synchronization across time zones. Users must have SP1 installed before installing SP2 and need to have loaded the update to the Windows servicing stack. If you know one thing about Linux users, it's probably this: they enjoy the challenge of installing their operating system of choice on pretty much anything with a transistor in it. It's only a matter of time before they get around to replacing all those electronic singing greeting cards to make the sound of penguin mating calls. So the news that Linux has been ported to the iPhone and the iPod touch shouldn't exactly come as a shock; please hold your cries of heresy until the end. OpeniBoot, which brings the Linux 2.6 kernel to the iPhone platform was developed by members of the iPhone DevTeam, the same folks who have long been working on cracking the iPhone's firmware every time a new version comes out. The capabilities of OpeniBoot are still incredibly limited--at present, there's no support for writing to the flash memory, using the touch screen, wireless networking, the cell phone, sound, or the accelerometer. So if you thought that you'd be ending up with a fully operational Linux iPhone--or even a partially operational phone--I'm afraid you're going to be disappointed for now. There's also some talk that this may pave the way for installing Google's Android OS on the iPhone, though as someone who's been using a G1 for a few days now, that seems like overhauling a Porsche to run like a Hyundai. But then again, there's always somebody who wants to prove that it's possible. MIME Types tell browsers how to handle specific file extensions. For example, the text/html MIME Types equates to .htm, .html, and .shtml extensions on most servers, telling your browser to interpret all files with those extensions as HTML files. You can alter or add new MIME Types specifically for your site (Note: You cannot alter the system defined MIME Types values). MIME Types are often used to handle new technologies as they appear. Mime Types can be compared to file extensions on your computer operating system. File extensions tell the operating system how to handle the file and what to open, run or view the file with. However, in the case of Mime Types, it tells the web server that is hosting the file what type of file it is and what to use to open, run or view the file with. Sometimes within the users web browser or e-mail application. Why Would I Add More Mime Types? In some instances you may have a file that is not already recognized by the web server. This in turn would mean that the web server will not know how to serve this file to the user. This can result in unexpected behavior. Adding a file extension relationship to a Mime Type will identify that type of file to the web server and what the web server should use so that the user can open, run or view the file on the web server through the application (such as a web browser). What Kind of Files Do We Mean? With a 24.5 megapixel sensor that covers ISO 50-6400, Nikon’s new DSLR camera- the D3x, has got quite a number of ‘cameraphiles’ salivating. Maybe it’s the fact that the camera can shoot 5 frames per second at full resolution or just that since its presence was leaked a while ago, the D3x has been much awaited; but we expect this camera to make quite a buzz once it actually hits the markets. According to a release issued by Nikon, the D3x can record images as TIFF, JPEG or the RAW format, NEF in either 12 or 14 bit compressed or uncompressed formats. The release goes on to say that the camera also features Scene Recognition System, which continuously analyzes information from the 1,005-pixel RGB light sensor, to refine auto exposure, auto white balance and autofocus calculations. Nikon's 3D Color Matrix Metering II helps ensure accurate exposures and when used in combination with Active D-Lighting, it creates realistic contrast while compensating for lost shadows and highlights. The D3x is expected to be launched this month and will cost a cool $8,000 (Rs.3,92,638).